The most popular and probably fastest way to build credit is to get a credit card. Those small plastic cards of magic can make or break a person and their credit scores. Though a lot of people can manage and actually better their credit with credit cards, there are still a lot who can’t. If you need to raise your credit score but you don’t trust yourself with plastic, you need an alternative. Here are seven alternative methods to build credit without credit cards. Sometimes rent and other bills are reported to the credit bureaus. This can help your credit score tremendously. Paying on time, and in full, will help your credit score. The more regular you are with payments, the higher your credit score will be, which can save you money by helping you get a better interest rate on future loans. Now you shouldn’t take out student loans just to build your credit. Student loans aren’t there to increase your credit score. They are meant to help pay for your schooling. But, student loans are a great way to build your credit by paying on time and making regular payments. It’s an installment loan. This means you pay for it over time and eventually pay it off, which is different than revolving credit. Credit cards are revolving credit, where you can continue to make charges and never actually have your entire balance paid off. Personal loans can be attained from a bank or credit union. These don’t usually need to be backed by money you put down and you can get them for small amounts. Talk with your banker to see which or loans would be good for you to build, or rebuild, your credit. If the interest rate is low enough on a personal loan, you might even consider taking one out for a large planned purchase, even if you have the cash saved up already, just to improve your credit score. These loans are meant for people to help build their credit. The loan amount is minimal and you work for a year or two to pay it off. The loan payments are put into an interest-bearing CD or a regular savings account. This will help you build credit as long as you pay on time. The bank reports these payments to the credit bureaus to help improve your credit score. Another way to build credit without a credit card is with a CD loan or Passbook loan. These are loans made again what you already have in savings. This way if you default on payments, the money is already there to cover your missed payments. CD or Passbook loans are meant specifically for people who have no credit or a very low credit score. Peer lending only helps your credit score if they report to the credit bureaus, so this is something to ask about before you apply for a peer loan. Peer loans could have higher interest rates than bank loans, but it’s still a potential idea to help increase your credit sore. This means you get a family member or a close friend to make you an authorized user on their credit card. So technically you are using a credit card, but you are not fiscally responsible for the payments. If your family member pays their bill on time, it can help your credit score. Discuss the usage terms for the credit card with your family member beforehand so no one’s credit gets hurt. This can backfire if your family member or friend doesn’t pay their bill on time or has a low credit score themselves. There are ways you can build credit without credit cards, but it takes discipline and time. Budgeting, keeping up on payments, and paying off debt are huge for increasing your credit score. It’s doable but you need to be diligent. 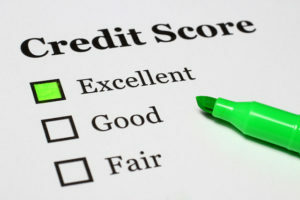 Have you ever raised a low credit score? Did you use any of these ideas to build credit without credit cards? Too bad there isn’t a way to build credit without actually using credit (aka taking on debt). I look forward to the day when the credit scores are based on better metrics – like income levels, net worth, and such. Do you think that will actually happen? Then it wouldn’t really be a “credit score” would it? Maybe then it would be more like a wealth score or something.